This set of Billing coordinator interview questions can help you identify the ideal candidate for your company, someone with demonstrable experience in accounting and a passion for finance. Billing coordinators work in the accounting department, so you should focus on their familiarity with accounting terms and procedures. 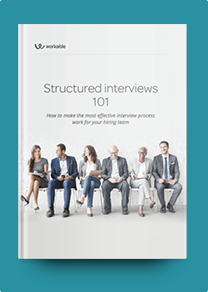 Role-specific questions can help you discover the level of your candidates’ knowledge and identify potential training needs. You should also look for candidates with customer service experience. Your billing coordinator position will deal with customers accounts and inquiries. Therefore, communication and negotiation skills are key requirements for this position. These questions are designed to help you identify candidates with a genuine passion for accounting and evaluate their qualifications. Your ideal candidates should be result-oriented and analytical. For better results, tailor these questions to meet your specific job requirements. Explain the financial transactions involved in the billing process. How do you keep track of incoming payments? How do you ensure the timely collection of invoices? What skills do you think are necessary for a billing coordinator in our firm? Could you think of any ways to handle daily procedures faster? Are you familiar with bookkeeping? How would you rate your proficiency with MS Office programs, especially Excel? How many invoices do you handle on a daily basis? Describe your familiarity with billing and invoice software. This job can be repetitive. What motivates you to perform? How do you report on payments and debts? What’s the most effective way to keep record of invoices and customer data? How do you stay up-to-date with current financial issues? Have you ever had an invoice discrepancy with a client? How did you resolve it? Describe your most hostile payment collection call. How did you handle it? Describe a time you went the extra mile to deliver excellent customer service. What’s your previous experience working in a team? What was your role?